I am Matt, your nightmare!" On a quiet night like any other, Matt, a successful entrepreneur, returns home to his gorgeous villa, only to find his wife brutally murdered. 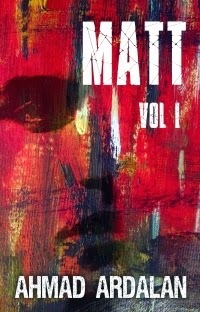 A soft verdict against the culprits, a gang of violent teenagers, spins Matt's relatively calm and collected demeanor into something far more sinister. In a manic rage, he seeks vengeance for what has been stolen from him, and he lashes out against the weak system. Sleepless, lonely, tormented nights torture him, filling his head and his heart with frustration, hate, and anger, unleashing an entirely different side of the man--a monster even he did not know existed within him. From Berlin to Rome to Paris, the great cities of the world suffer in the wake of his wrath, as brutal, barbaric killings seem to be the only temporary antidote for his fuming, blood-boiling rage. His victims, so easily deprived of life, seem to be the only cure, the only way to soothe his yearning for revenge, or are they?